From every angle tensile fabric structures are interesting. One of the main reasons architects and designers like tensile fabric structures is the fact that fabric lends itself to creating dynamic shapes. 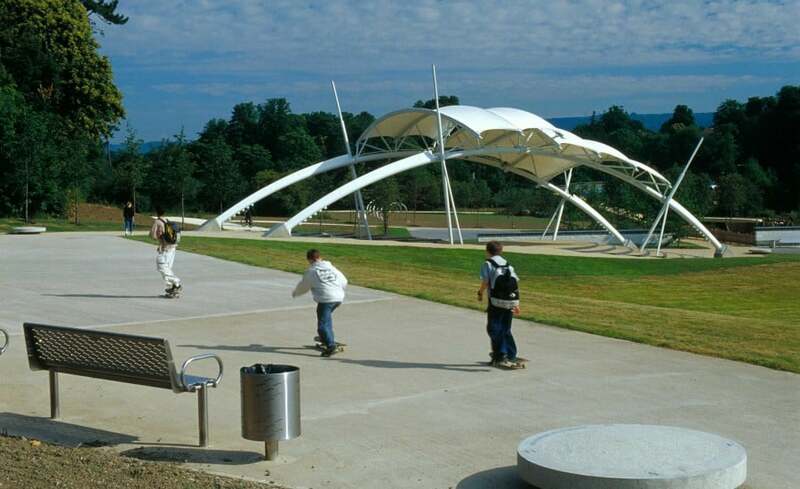 It’s the various curves and complex geometry that makes fabric structures so unique. The ingenuity and scale of external structures is limited only by your imagination. With changes in global climate, weather seems to be more extreme. Depending on where you are in the world, you’re either being drenched by rain or sweating it out under hot sun. 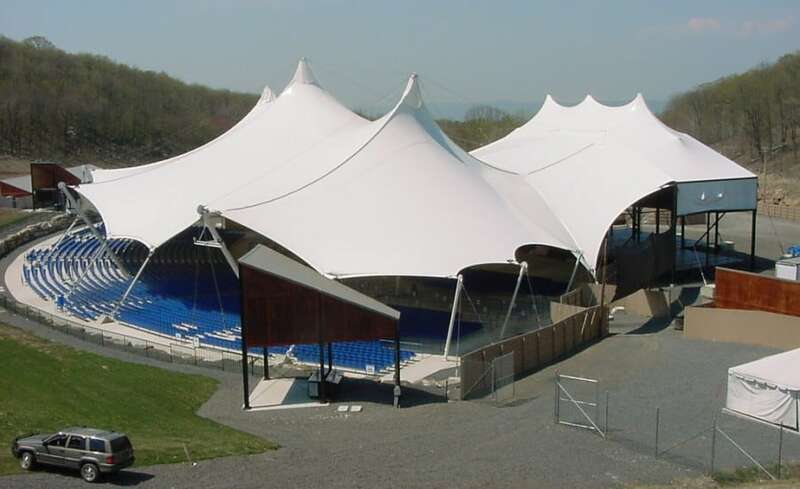 Fabric structures are an excellent way of providing usable space all year long, rain or shine. Creating social spaces that are built to last. 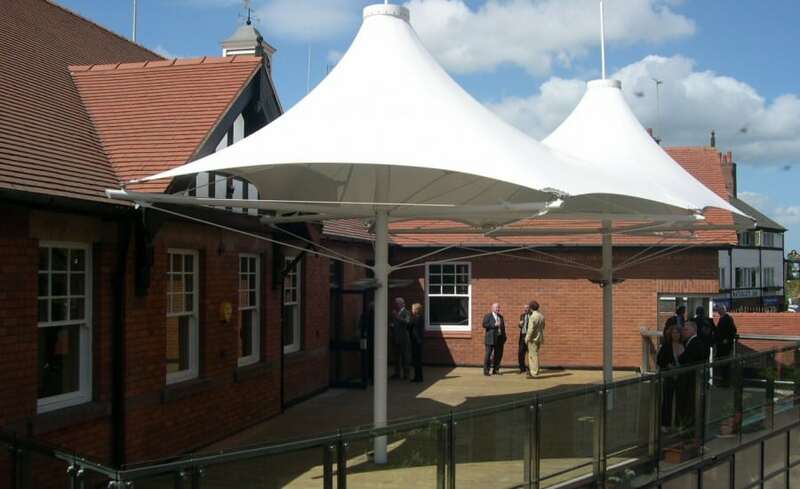 Whether you are linking buildings, covering a courtyard, a walkway or creating an entrance feature, external fabric structures are guaranteed to provide an environment that is light and airy. 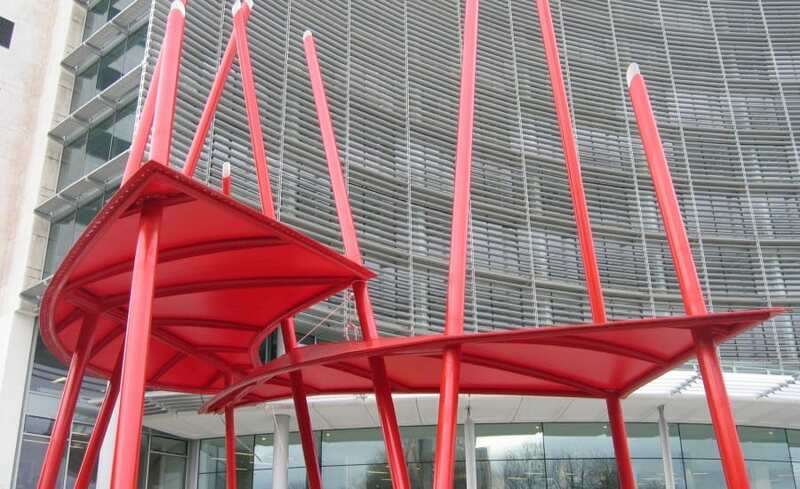 Because tensile structures are eye catching and they offer protection from the elements, people are drawn towards them – making them perfect for social spaces. No longer is fabric seen as a ‘temporary’ building medium. Today, fabric is recognised for its durability, flexibility and versatility. The tensile strength of fabric is very strong and the fact that it is also lightweight make it the perfect building material for economically spanning large spaces with minimal impact on its footprint. Fabric is naturally reflective and the introduction of lighting adds drama by highlighting the beautifully shaped patterns and elegantly formed framework that supports the canopy. As designers, we are constantly evolving new and unique ways of designing and building with a variety of innovative fabrics. There is something about being under a fabric structure that is exciting. Its a connection to nature, yet protection from her unpredictability. 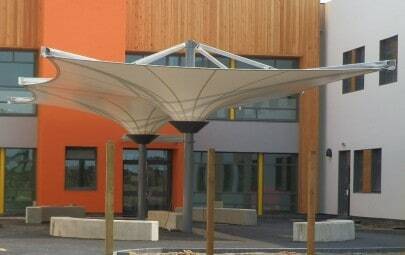 Applications range from small shade canopies to large roofing systems, bridges and even entire building skins. 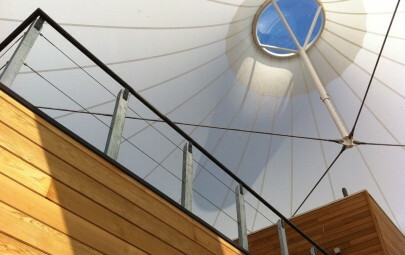 For more information on the fabric options which are compatible with this system, take a look at our Materials section. 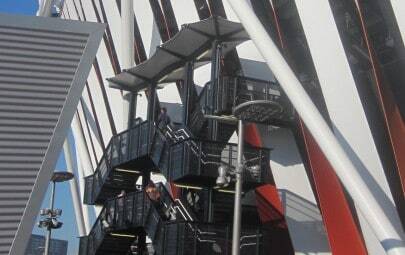 For bespoke projects or additional information, our experienced team will be happy to guide you through the specification of an Architen External Tensile Fabric System.